ZSK Automatic Embroidery Machines - Strawberry Stitch Co. Strawberry Stitch Co. is known throughout the embroidery industry as a firm who sets the standard in embroidery design, service, consulting, training and product delivery. We approach the sale of embroidery machines in the same manner, offering the very best equipment and software in the industry. 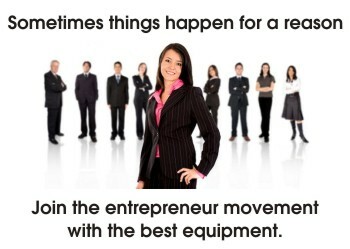 Pared with our extensive customer service and training and we have eliminated any reason to purchase from anyone else. ZSK embroidery machines have always stood out due to precision, reliability and productivity in continuous operation. 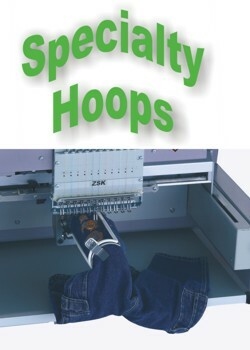 This is also true for the high-performance tubular embroidery machines of the Sprint and JAF series. 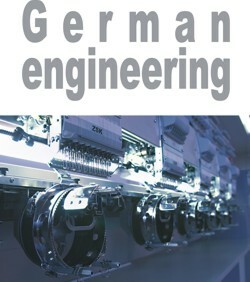 Like all other machines from ZSK they are top-of-the-line products based on German engineering excellence. With these sophisticated and flexible machines you will master all your embroidery challenges easily. Whether you wish to embroider badges, caps or shirts in small series for a club or as a bulk order for merchandising and promotional products - even the very specific customer wishes can be satisfied quickly. 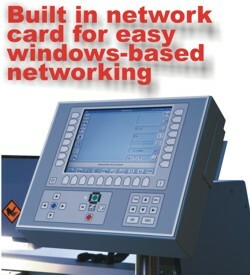 Machines range from the Sprint table top to multi head high production machines with as many as 44 heads. If your decision to purchase a new embroidery machine is not only determined by the price but the expected yield, you will surely make your decision in favor of a ZSK embroidery machine. They form the safe basis for economic and productive embroidering and a smart investment for safeguarding the future of your enterprise. 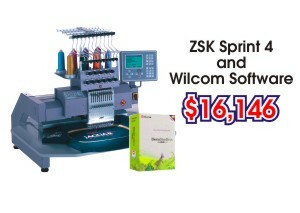 Single heads - The Sprint is an industry compact embroidery machine for speedy, mobile use. It is ideal for the production of patterns, solitary units and small series with ease of use features. The JAF 0115 is a full sized single head machine with 15 needles with speeds of up to 1,000 stitches/min, even on caps. Multi heads - The JAF series is the standard design of each ZSK high-performance tubular embroidery machine and includes a great number of innovative components and features that ensure efficient and uninterrupted operation. The JAF series machines are available in a Single Head, Two Head, Four Head, Six Head, and Eight Head configuration. All mechanical and electrical elements are developed, tested and perfectly tuned on the basis of German engineering expertise and thoroughness. The result is high efficiency due to highest quality standards. Made by ZSK!